Calling all movie lovers! If you love the stories and the glamour of the big screen, then why not showcase some of your favourite flicks within your abode. Our collection of vintage film posters is the perfect addition to any part of your home. 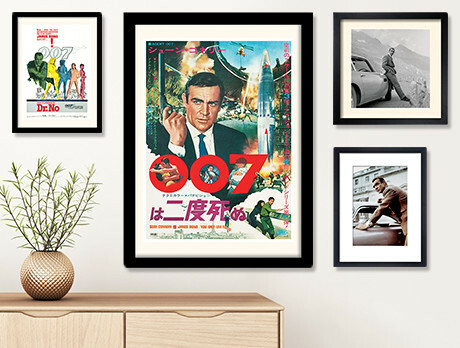 Whether you are a fan of James Bond, Casablanca or The Graduate, there will be something to adorn your walls in style.